Adafruit Holiday Gift Guide 2014: Bluetooth « Adafruit Industries – Makers, hackers, artists, designers and engineers! Because everything is more fun when it’s wireless! 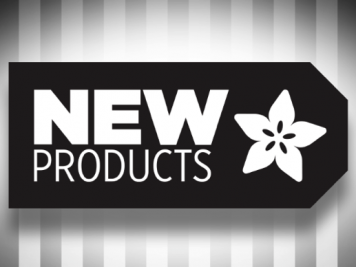 Whether you’re interested in ‘Classic’ Bluetooth (of wireless speaker and hokey headset fame), or the new fangled ‘Low Energy’ standard introduced with the Bluetooth 4.0 Core Specification, mobile phones and devices have given Bluetooth a new lease on life. Bluetooth Low Energy (BLE) is the latest and greatest incarnation of Bluetooth, and was introduced as part of the Bluetooth 4.0 Core Spec. It’s completely separate from Classic/full-on Bluetooth (the two can’t talk to each other! ), but it’s an important technology since it’s one of the key protocols used to communicate with external HW in recent mobile phones, tablets and mobile devices. 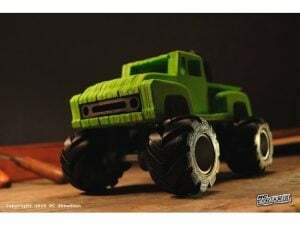 If you want to design something that can talk to your phone over the air and don’t want a 2500mAh LIPO cell hanging off it, Bluetooth Low Energy is almost certainly what you want. 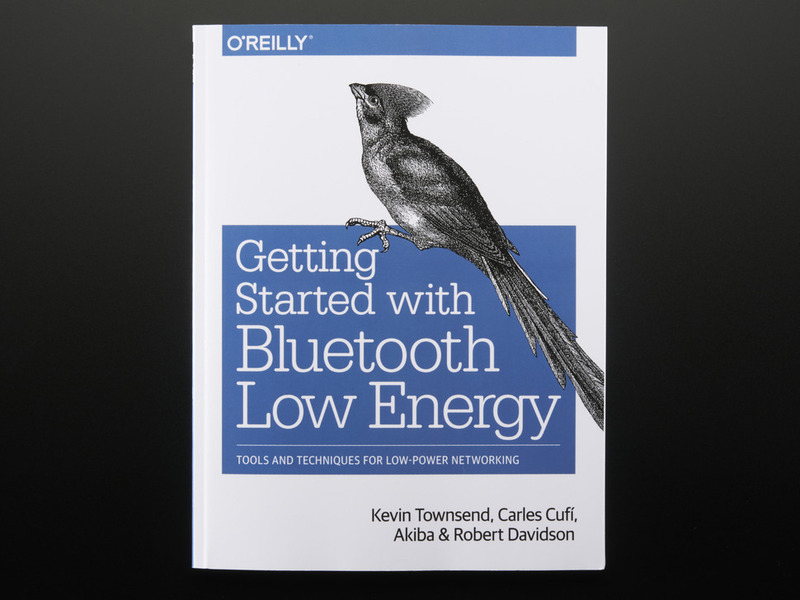 Want to Get Started with Bluetooth Low Energy, but don’t know where to dive in? 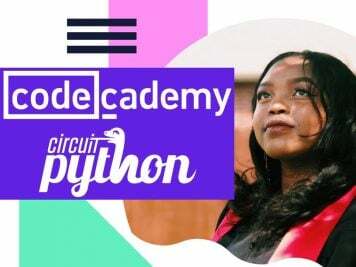 Well, we’ll be glad to help you out with the high level introduction of BLE, explaining the key concepts and terminology behind this new standard. (Warning: Shameless Personal Bias Alert, ahem: co-written by me, sorry!) If you just want a super quick overview of the most important terms (GAP, GATT, Services and Characteristics), you can also have a look at our Introduction to Bluetooth Low Energy learning guide. 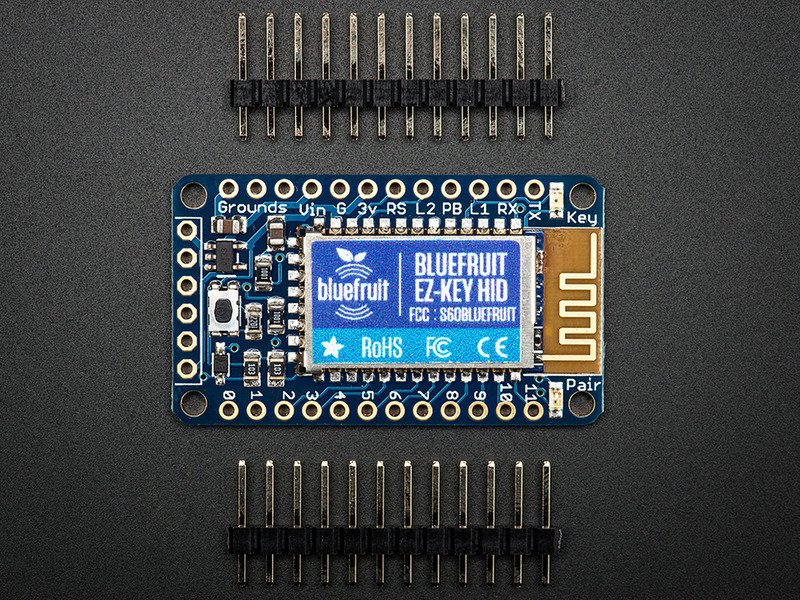 The latest member of the Bluefruit family, the Bluefruit LE Friend is the easiest way you’ll find to add basic Bluetooth Low Energy peripheral mode support to almost anything with a USB port. After trying a lot of 3rd party BLE modules, we spent months (six of them, to be precise!) 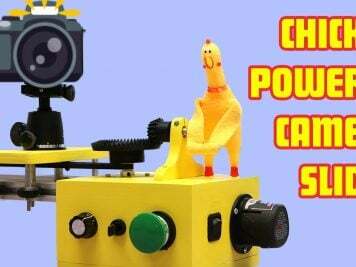 painstakingly writing our own firmware for this module to give us something we would be happy to sell. The Bluefruit LE Friend is the latest (but not last!) 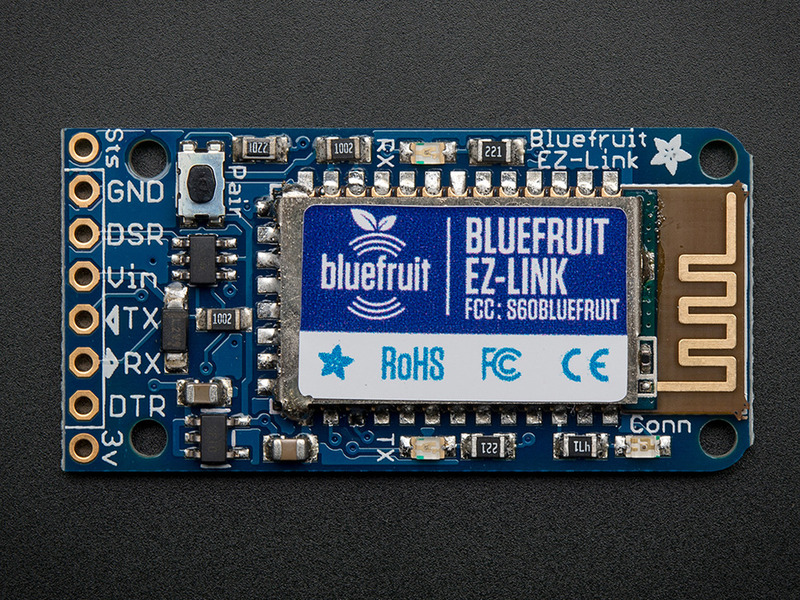 member of our new Bluefruit LE family, and uses a custom AT command set and a standard FTDI chip to allow you to communicate with any BLE phone or device operating in Central mode (which means any recent iOS device, or most Android hardware running Android 4.4 or higher). Since it’s based on a standard serial port and an easy to understand AT command set, you can write scripts in Python to interact with your phone, or manually enter commands in any terminal emulator on almost any USB enabled device, without having to worry about platform difference or API support (Win 7 doesn’t even support BLE, for example, but the Bluefruit LE Friend solves this for you in no time). Have a look at our giant Bluefruit LE Friend learning guide for more information. If you want to go crazy with the whole BLE thing, you can even use these boards as custom development modules, since they include a standard SWD connector that you can connect a Segger J-Link (or any other compatible SWD debugger) to, to flash and debug your own nRF51822 code. We include a product key with each board to enable you to register on Nordic Semiconductor’s website and get access to the necessary development tools like the official SDK and the Bluetooth stack you’ll need to write your own code (called the ‘SoftDevice’). Want to know how Bluetooth Low Energy works on the lowest level, or maybe reverse engineer an existing BLE peripheral? Our Bluefruit LE Sniffer is the perfect gift! 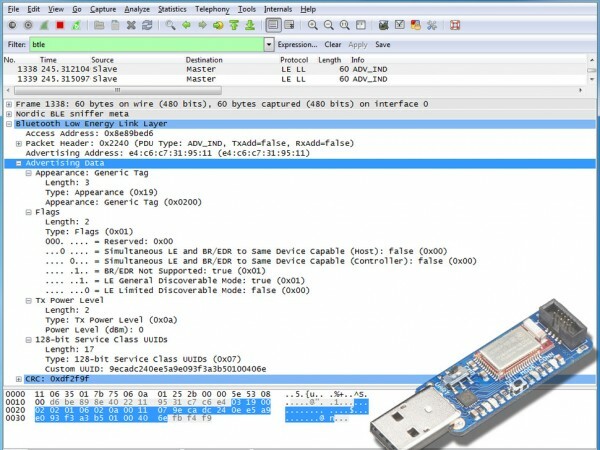 If you’re on Windows, you can use the nRF Sniffer utility from Nordic Semiconductor’s to stream live data from the device your sniffing into Wireshark. If you want something cross-platform and open source, you can use the Python API and some simple Python helpers we added on top to log data to a libpcap file that can be opened on any platform in Wireshark, and analyzed packet by packet. Have a look at our Bluefruit LE Sniffer learning guide for more information! 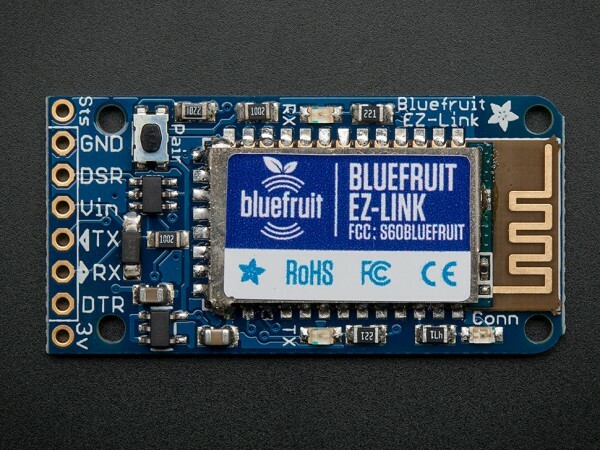 The Bluefruit EZ-Link modules can be used as an easy to use serial link between your Arduino (or most other devices with a serial port) and another Bluetooth enabled device. The EZ-Link provides a standard ‘SPP’ service (essentially UART over the air) to send and receive basic text over the air, but adds a bit of Adafruit Secret Sauce to the mix by ALSO allowing you to program your Arduino over the air using this module! It’s currently OS X and Windows only (no Linux support yet), but will make programming embedded Arduino projects a breeze, and have you talking to almost anything less than 5 or 6 years old with Bluetooth in no time. 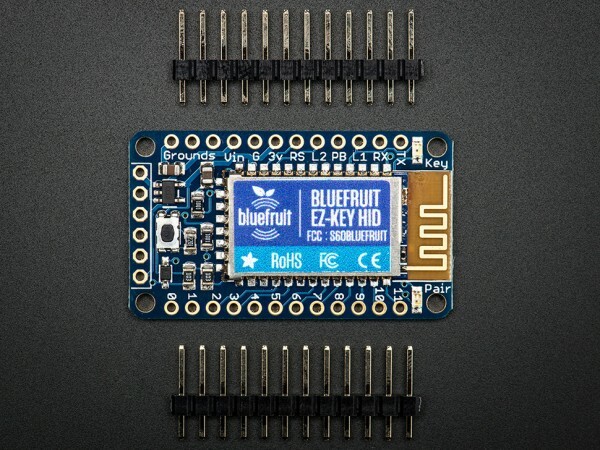 If plain old UART/SPP isn’t your thing and you want a more creative way to provide user feedback over the air, the Bluefruit EZ-Keys might be for you! 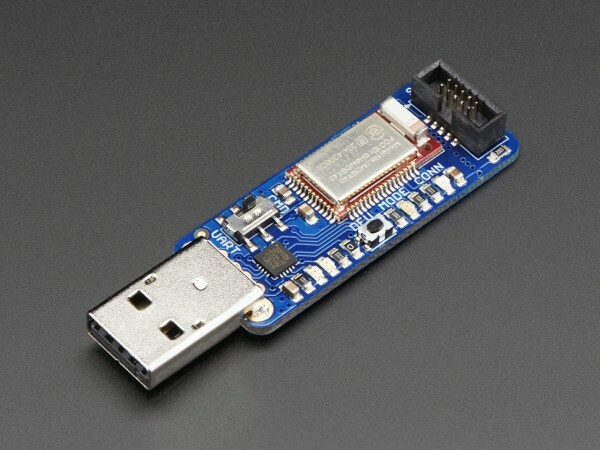 This fun Classic Bluetooth module gives you 12 pins that act like a Bluetooth keyboard, allowing you to connect them to just about anything that would toggle a standard GPIO pin (a switch, a cap touch breakout, a light or motion sensor, etc.). 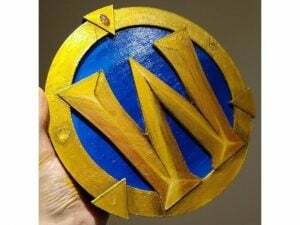 Also available in shield format!